Join LandPaths and Ag+Open Space to visit the scenic 3,300-acre Willow Creek State Park. Dive into the history of collective actions that have led Willow Creek to become part of our beloved State Park system, but most importantly protected forever by Ag+Open Space, managed by California State Parks in partnership with Stewards of the Coast and Redwoods. Join us on a hike up the Islands in the Sky trail. The full loop is 2-3 miles with 1000 ft elevation gain. This can be a strenuous hike for some. The entire loop will take us around 2 hours (though this depends on our group speed). Please Note* This is not an orientation session for access to the park. California State Parks is not offering new permits for access to the park. Level of difficulty: We will gain over 1000 ft. in elevation. This can be strenuous for some people. 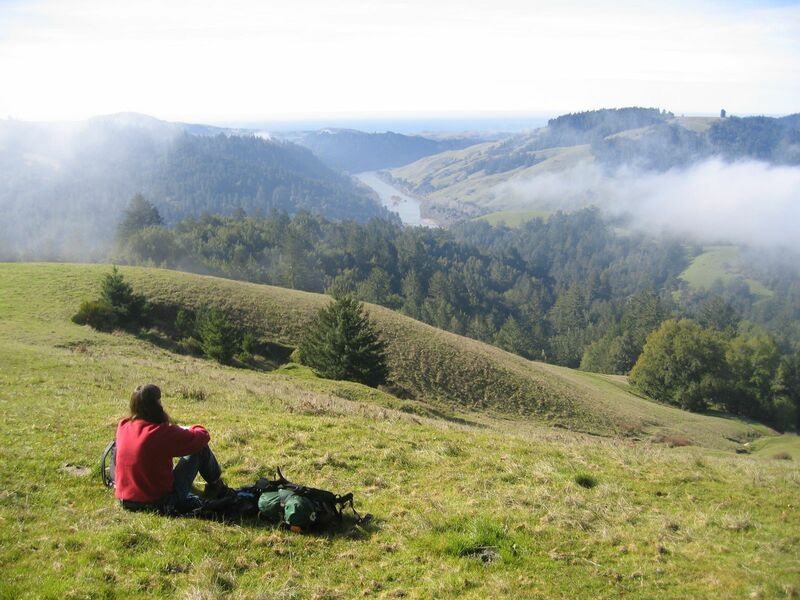 Ag + Open Space protects land in Sonoma County and LandPaths connects you with that land. This program is made possible through a partnership between the District and non-profit partner LandPaths. It is sponsored by the voters of Sonoma County who funded the District's work with a quarter-cent sales tax, and is coordinated & guided by LandPaths.